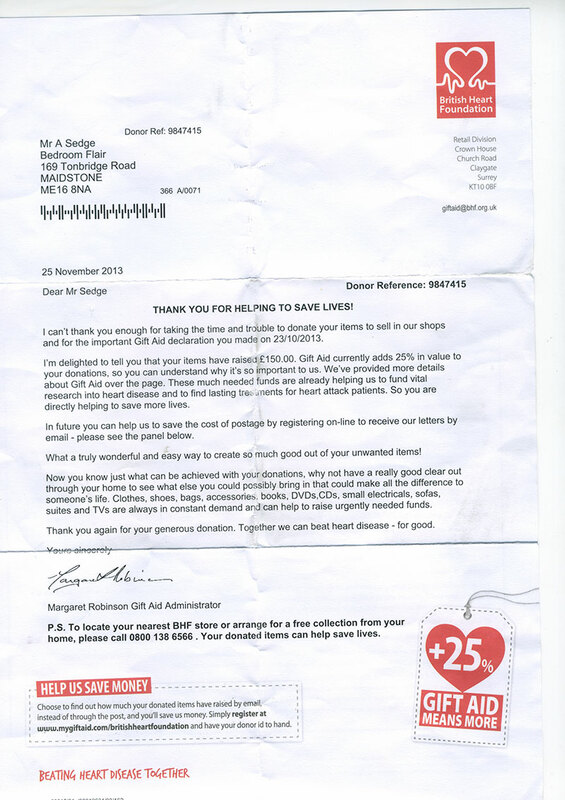 We recently received this lovely letter from the British Heart Foundation. We donated a number of items for them to sell for charity raising. 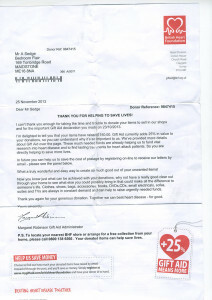 They raised £150 which we are really happy to have helped.